First of all go to create new Facebook page option. now just select any Category you want. Now copy the code inside the brackets [᠌ ᠌ ᠌᠌᠌᠌᠌] and paste in the name field that’s it. Now just click on I agree to Facebook Pages Terms and then Get Stated. That’s it You are done !! 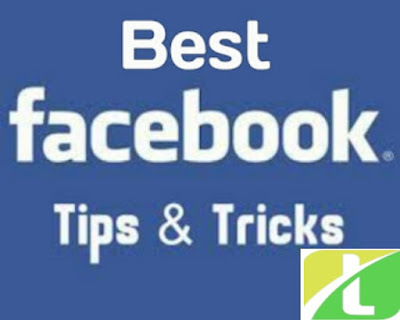 There are many tutorials online which allows you to download videos from facebook but all of them requires you to use any software or any kind of plugin to download facebook videos but this can be easily done with facebook video downloader. You can download photos from Facebook from easily.So, here i’m providing a quick and step by step guide on facebook video downloader free without any software. First of all go to the Facebookvideo that you want to download in your pc . The video url will look like the below url. Now play the video and once the video start playing right-click on it and click on SaveVideo As option in the right-click menu. After you will click on it a pop up will come and ask you for the location where you want to save it on your pc or laptop. After selecting the place just click on the save button and it will start download facebook videos. Step 1 : Log in you Facebook account which you want to delete. Step 2 : Deleting facebook account will permanently deletes your all data on facebook.So, if want to save your facebook photos,messages you can simply download facebook data. Go to Setting > General Account Setting. You’ll be able to see an option “Download a copy of your Facebook data” at the bottom.Just click on it and it will start downloading you facebook account data. Step 3 : Just go to below link in order to delete facebook account. Link : Delete Facebook Account Step 4 : Now just click on delete my account, to delete facebook account permanently. Step 5 : Enter your password and enter the captcha then click on OK. Step 6 : You are done !! NOTE : Facebook will take 14 days to delete your account. If you log in to your account during that period could prevent it from being deleted. Privacy settings in Facebook help the users to hide or lock their profile pictures and other pictures from public or specific people.This setting is pretty necessary to use looking at the increase in users of Facebook so that unknown user/stranger is not able to get access to your profile picture or other albums.However,even after using this setting there is a way where one can view private facebook pictures.In this article we are going to share how to view private facebook pictures. Step 1 : First of all open the timeline of which you want to view private facebook pictures.Now you need a Username or Profile ID of person whom profile picture you want to see. Step 2 : Just copy the Username and Profile ID in notepad or anywhere are the url. Step 3 : Then replace the Paste-username-here from the below given link with the Username or profile ID. https://graph.facebook.com/Paste-username-here/picture?width=9999 Then it will looks like as below :- https://graph.facebook.com/techarenaTA/picture?width=9999 Step 4 : Now to copy link and paste them into new tab of browser. Step 5 : Just press the enter and view private facebook pictures. 🙂 Note : This guide is for educational purpose only !! Don’t miss use anyone’s photos. Now Facebook automatically plays video on the web and also on iPhone, iPad and Android. You can easily turn it off. So, if you don’t want to see annoying videos playing automatically then just follow the following one of best facebook tricks : On the web go to Settings >> Videos >> Auto-play Videos >> Off. On iPhone go to Settings >> Videos & Photos >> Auto-play >> Never Play Videos Automatically. On Android go to Settings >> App Settings >> Video Auto-play >> Off. You can also choose that play video only when on Wi-Fi network of this you have to choose “only use WiFi” on iPhone or Android so that you don’t use your cellular data to play those videos automatically. Getting many notifications on facebook ? or Tired of getting notifications every hour ! ? Then you can easily get rid of these notifications on android or iPhone and stop them. Stopping these notifications does not stop the message notifications you will still get the new message notifications that great !! Just follow the below steps to turn off facebook notifications !! On the iPhone Go to Settings >> Notifications >> Tap on Facebook >> Turn off the Allow Notifications option. On Android Go to Facebook >> Tap on the Three Lines in the upper right >> App Settings >> Uncheck Notifications. Posting blank or empty status on Facebook is funny right? Yes now you can do this without using any extension or software. Here is trick which allows you to post blank status.Just Press Alt button on keyboard and type 0173 and click on post button to post blank status update. You can easily schedule your facebook status updates just as facebook posts there is website named Buffer which allows you to set schedule status update. By using this service you can write some status update and set the time to schedule the status.